The scholar C.H. Dodd once defined a parable as a "a metaphor or simile drawn from nature or common life, arresting the hearer by its vividness or strangeness, and leaving the mind in sufficient doubt about its precise application as to tease it into active thought." Parables are thus distinguished from fables (which involve fantasy or myth) or allegories (which are highly symbolic with emblematic detail). If Robert Bresson's aesthetic of realist, material sounds and images assembled in paradoxical ways virtually defines the cinematic parable, Au hasard Balthazar (1966) may be his most inspired and moving expression of the form. Presenting parallel narratives juxtaposing the lives of a teenaged girl, Marie (Anne Wiazemsky), with a donkey named Balthazar, the film is predicated on ellipses and reversals that occur between and within nearly every scene, confounding, subverting, and challenging viewer expectations. It's a narrative film, but its comprehension is less a matter of connecting cause and effect than speculating on the bits and pieces of information it assembles together in puzzling and evocative ways. The film has thus provided fertile ground for many thematic interpretations. 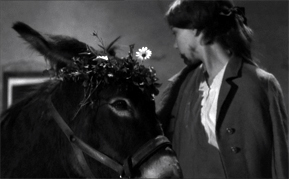 Bresson himself acknowledged certain suggestions during the film's release on the French television program Pour le plaisir (included with the Criterion DVD): "This character resembles the Tramp in Chaplin's early films, but it's still an animal, a donkey, an animal that evokes eroticism yet at the same time evokes spirituality or Christian mysticism, because the donkey is of such importance in the Old and New Testaments, as well as ancient Roman churches." And yet Balthazar is far from a theoretical or intellectual exercise. ("Ideas gathered from reading will always be bookish ideas," Bresson wrote in Notes on the Cinematographer. "Go to the persons and objects directly.") The film's surface textures—farmland, piles of hay, a wooden swing, a spartan bench—are as lovingly emphasized as its sonic textures—Balthazar's braying, a creaking rope, various squeaking wheels. 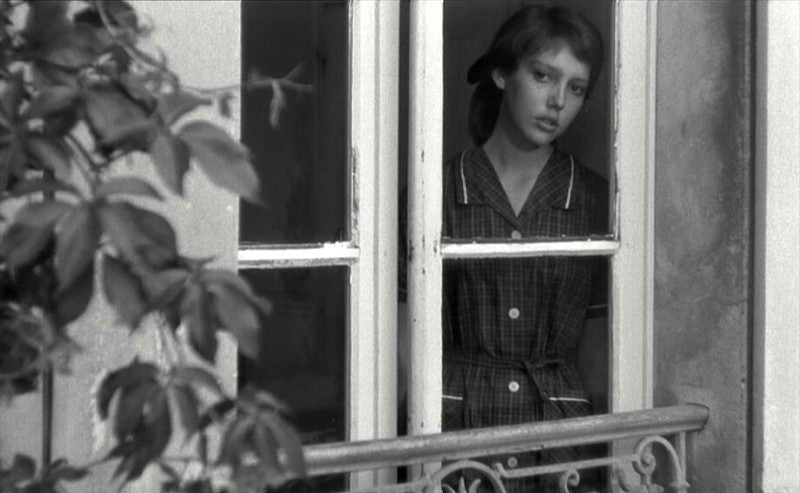 The film was shot by cinematographer Ghislain Cloquet, following Bresson's extraordinary four film collaboration with L.H. Burel, and it evokes the physical world with precise clarity. Combined with Bresson's downward-glancing, opaque models and evocative silences, the film offers an astonishing, muted beauty. Cloquet had previously worked on such films as Alain Resnais' Night and Fog (1955) and Jacques Becker's Le Trou (1960), and would shoot Bresson's two subsequent works. The film's sounds include a melancholy refrain from Schubert's Sonata No. 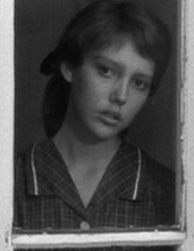 20, and although Bresson later rejected the use of nondiegetic music altogether (and suggested Balthazar's accompaniment was "too sentimental"), the film's music, like its imagery, provides effective counterpoint to its somber drama. Counterpoint is the driving force of the film. In the opening credits alone, Schubert's sonata is interrupted by a magnificent donkey bray. 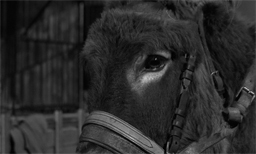 The first shot after the credits provides a composition of nature—a donkey colt suckling his mother—but a human hand intrudes from offscreen to pet the animal. Two children then ask an older man if they can have the colt and the man refuses; the next shot reveals the three of them leading the colt down a hill. The following scenes contrast the children playing on a farm ("baptizing" the donkey and naming him Balthazar) with a bed-ridden child who takes her medicine and quietly weeps. These gentle scenes then dissolve to a low angle shot of a man menacing the camera, cracking a whip with loud snaps on the soundtrack; it is years later and Balthazar is being put to work. As Balthazar ages, so does Marie, and the bulk of the film presents her in adolescence, caught in the fragile period when childish things are cast aside, complex emotions are born, and serious decisions can derail a life before it has the chance to blossom. 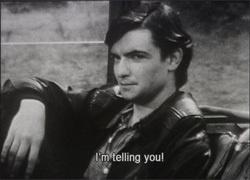 Wiazemsky, who later became a novelist, provides one of Bresson's most compelling models, projecting a reserved and seemingly unconscious combination of passivity and rebellion, reticence and rashness. 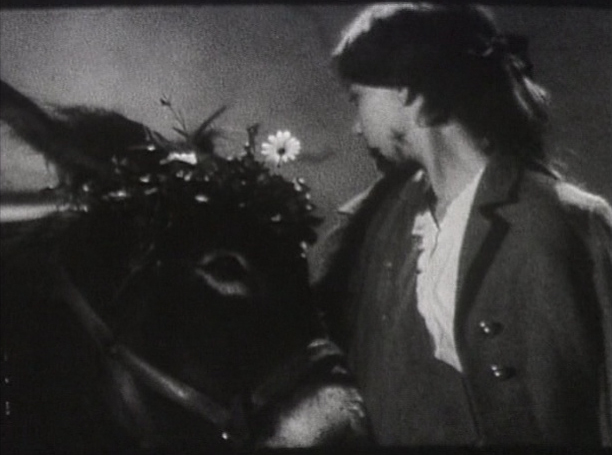 Her treatment of Balthazar is simultaneously caring and neglecting: in one scene, she adorns the animal with flowers and kisses it, in another she pathetically notes how the donkey shivers in the cold. Marie marks Bresson's increasing interest in youthful protagonists, prefiguring Mouchette, Une Femme douce, and a series of teenagers in his late color period (filmed in his seventies and eighties); his sensitivity to their uncertain, paradoxical behaviors would always remain highly observant, empathic yet unsentimental. 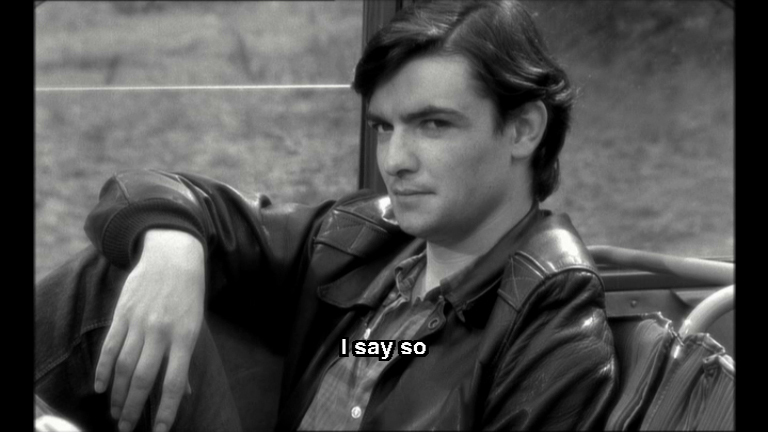 Balthazar, Bresson's most original script (one of his few films not adapted from a literary text), is the first film in which he begins to fully confront modern cruelty. His counterpoint to Balthazar's innocence and beauty is Gerard, the gleefully sadistic hoodlum who abuses nearly everything he encounters. 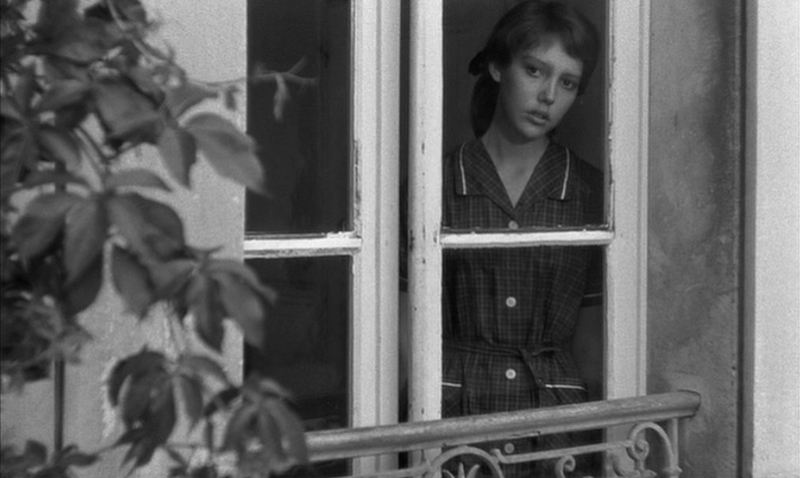 Bresson continually associates him with the growling sound of the delinquent's moped and blaring transistor radio, two objects of modernity that violently penetrate the pastoral atmosphere. Gerard and his gang vandalize roads, terrorize Balthazar, and physically abuse Marie, who seems so resigned to her fate that she rejects the one character—her childhood friend Jacques—who offers her unconditional love. Gerard is offered perhaps the most devotion when he's hired by the local baker, and the artisan's wife secretly dotes over the youth in romantically ambiguous ways. Throughout the film, Marie and Balthazar meet and diverge, seemingly at random (the film's title translates as "By Chance, Balthazar"). Suggestions of plot flicker in the background: Marie's father inherits a farm and takes great pride in putting it to use, but the old enemies of Bresson's Country Priest—distrust and gossip—isolate him from his small community; a murder occurs that implicates Gerard and his gang as well as the town drunkard, Arnold (played by Jean-Claude Guilbert, who, uncharacteristically for Bresson, would be reused in the director's next film); Balthazar is sold to various owners, all of whom invariably abuse the donkey as outward manifestations of unique vices. When Balthazar is made to work as a circus performer, it provides Bresson with one of his most justifiably lauded sequences. Balthazar assists a worker who moves from cage to cage providing hay for a variety of exotic animals. As the man stops, doles out portions, and moves on, Balthazar stares silently ahead and the animals stare back; the scene is strictly representational, there is no anthropomorphic embellishment to it, yet through Bresson's conspicuous editing, the animal world unites in its mystery and diversity. 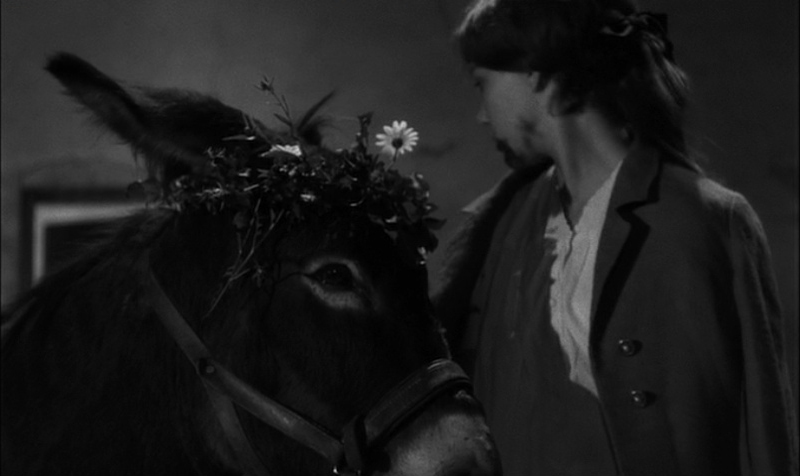 And although Balthazar's central position in the narrative defines the donkey as a protagonist, Bresson preserves the animal's inscrutable nature, balancing its remoteness with its animal responses to human behavior. (Bresson insisted on using an untrained donkey.) Like the film's enigmatic characters and teasing narrative glimpses, Balthazar's singular being is a summation of ambiguous details offered moment by moment. 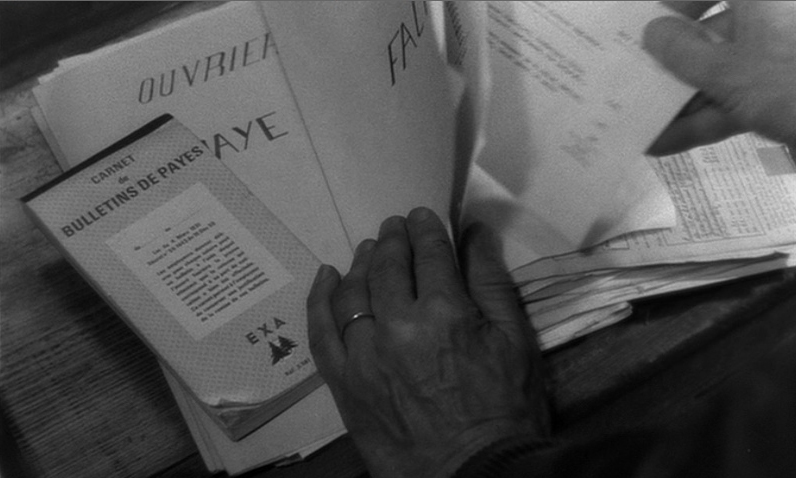 The profundity of Balthazar—no doubt a primary reason why it was voted one of the top 20 films of all time in the 2002 Sight & Sound international poll—lies not in its fragments, however, but its overall harmony, the way Bresson fashions a sense of balance between suffering and beauty, will and passivity, exactitude and suggestion, chance and inevitability, life and death. His formal unity elevates the film to the highest artistic plane and its steady stream of contradictions appear as necessary truths, firmly placing the viewer between the knowable and the unknowable, the world that's perceived and the world that's hidden, intangibly ordered, and finally perhaps, revealed. —D.C. Yet another breathtaking DVD presentation of a classic of world cinema from Criterion. The image on the DVD is just as luminous as that of the Rialto-restored print we recently saw on the big screen. The image contrast is excellent, saturation and other non-linearities have been avoided. Criterion pulls the image histogram back just a tad, preserving film grain and providing rich detail even in the more brightly illuminated portions of the image. This makes the overall image slightly darker than last year's near-perfect Nouveaux release [ DVDBeaver review ], but without significant loss of detail in the darker regions, provided the DVD is viewed on a high quality monitor or (preferably 16:9) TV. Subtitles are removable, in contrast to those of the Nouveaux release. The audio portion of the disc is flawless. Interestingly, the Schubert piece starts with a black screen on the Nouveaux disc; it starts with the Argos logo on the Criterion. The latter is the correct start. Criterion Post et al. have, of course, re-transferred, re-encoded, and redone the DLTs for this NTSC pressing, and so the very brief but unsightly digital pixelisation seen in the Nouveax release at 1:18:08 and at 1:23:41 (PAL time) is, thankfully, not present. However, the Criterion disc does have other encoding issues: a digital artifact rears its ugly head in the first two frames of each and every Chapter on the DVD. Take Chapter 8 as an example. The following are screengrabs of four successive frames from the film as encoded onto this DVD: (i) the last frame of the previous chapter, i.e., Chapter 7, (ii) the first frame of the new chapter, i.e., Chapter 8, (iii) the second frame of the chapter, and (iv) the third frame of the chapter. Click each image to enlarge. By examining these four images, it should become immediately apparent that the first two frames of Chapter 8 (and, indeed, this is the case for every Chapter on the disc) are essentially ruined. The effect, easily spotted when viewing the DVD on any good quality monitor, is somewhat less pronounced in the case of chapters which start with little or no motion in the image. 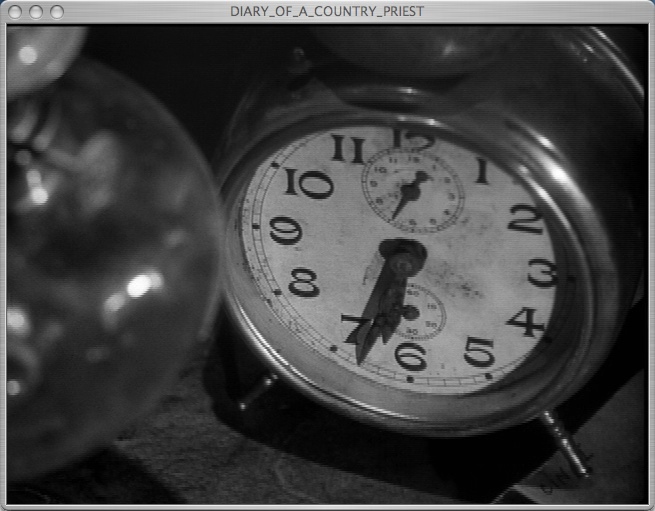 Incidentally, this phenomenon is also afflicting Criterion's Diary of a Country Priest DVD [ sample screenshot ]. However, in the case of Diary, most chapters start with a fade from black, and the problem is for the most part hidden from the eyes of the viewer (which does not mean that the problem isn't there). Let us speculate on what could be causing this flaw (this paragraph may be considered optional reading). The problem is clearly associated with the Chapter Markers. Chapter markers can be incorporated into a DVD project in (at least) two ways: they can be prepared in advance and inserted into an MPEG stream as "forced" I-Frames. We suspect this is what Criterion have done. Maybe the encoder they were using lost cadence count near such forced I-Frames. Also, forced I-Frame insertion at the encoding stage can significantly alter the MPEG structure, resulting in an IPBP sequence (instead of the nominal IBBP), where the (predictive) P-Frames actually may be referencing an interlaced frame in the original material, if the original material was interlaced. The "interlaced" feel of the compromised frames are, we think, a tell-tale sign that Criterion may have based their transfer on interlaced material. (Please note carefully that the glitch is not necessarily a result of Criterion having used interlaced source material.) Finally, the second method of incorporating Chapter markers: they may be set later in the authoring process, using SMPTE Time Code, with a precision of 15 frames (PAL) or 12 frames (NTSC). In which case the MPEG natural structure (usually IBBP) is preserved intact. This is probably what Criterion should have done (if our theory is correct). 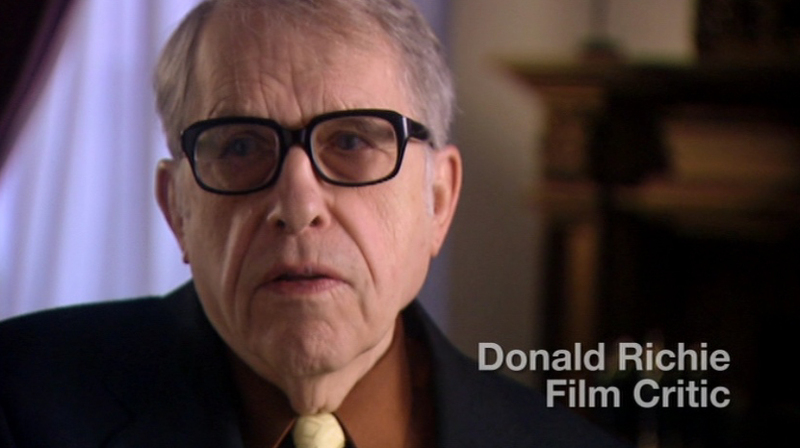 The DVD's Special Features include an interview with Donald Richie recorded exclusively for The Criterion Collection in New York in November of 2004. We always enjoy listening to Donald Richie's (often invaluable) insights, and this interview provides no exception to that rule (but his attribution of some kind of quote by Bresson in Notes on Cinematography [sic] concerning his unique spin on Catholicism is inaccurate — there simply is no such quote). 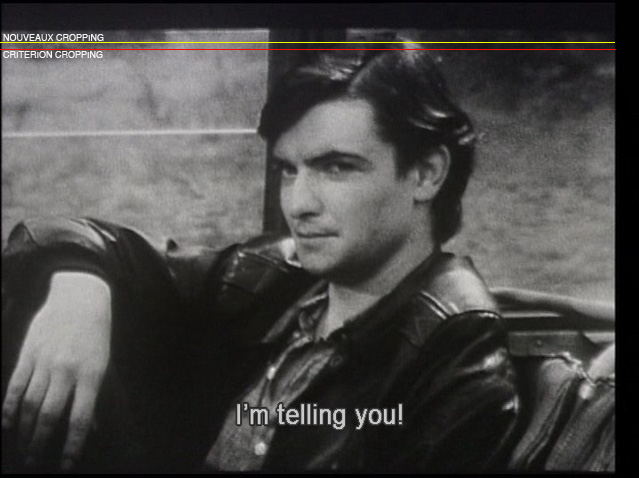 Also included is Un metteur en ordre: Robert Bresson (1966), a fascinating one-hour French TV Special about the film, featuring Bresson, Louis Malle, Jean-Luc Godard (who is heard uttering his oft-quoted statement that Au hasard Balthazar is "all of life in 90 minutes"), and others. A theatrical trailer (restored and cropped identically to the main feature) and an essay by the always excellent James Quandt round off the package. In February of 2005, we received an email written on behalf of a group of Bressonians who are known to hang out at the Pacific Film Archive, Berkeley: "We are wondering why you have failed to note the obvious [vertical] cropping on the Nouveaux Balthazar disk." 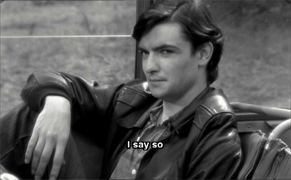 Although they could produce no hard evidence to back up their claim of "obvious cropping," it quickly became clear through the ensuing correspondence that they did possess some remarkably fine-tuned aesthetic sensibilities, having repeatedly watched the oeuvre of Bresson on the big screen. Clearly, their claims could not be dismissed out of hand. They also noted that the cropping seemed less noticeable towards the later parts of the film, and they expressed a concern that the upcoming Criterion edition might even be subject to the same level of cropping unless something was done to warn them ahead of time. We tried to track down frame enlargements in order to verify the presence of excessive cropping, but to no avail. Fast-forward to June, 2005. Shortly after the release of the Criterion edition of Balthazar we were once again contacted by a representative of the Berkeley group, who in sheer horror pointed out to us the DVDBeaver review of the Criterion DVD, in which it is shown that the Criterion disc is cropped even heavier than the Nouveaux disc. We promised we would take a closer look at the matter. 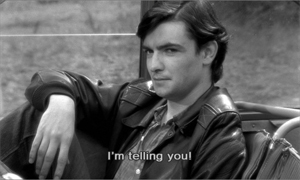 Our investigation was made somewhat easier by the fact that Criterion include on their disc a very interesting 1-hour French TV program about the film, called Un metteur en ordre: Robert Bresson, in which several clips from an old 1966 print of Balthazar are shown. These clips could now be used as a basis for verifying the Berkeley group's initial claim regarding excessive cropping. But first, a comparison of the Nouveaux disc to the Criterion disc, with emphasis on vertical cropping. The following figure shows one screen grab from each disc, the Nouveaux disc on the left and the Criterion on the right. Click images to see the full-size frame. 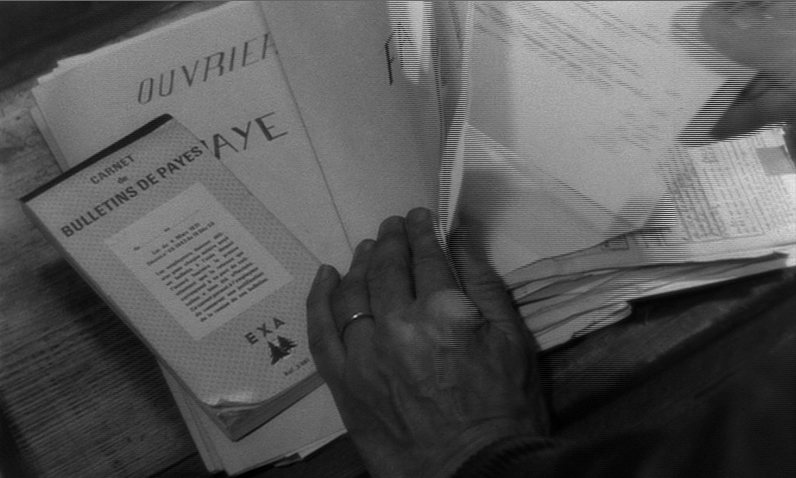 A detail from the above scene—which was carefully composed by Bresson—is shown next. Notice how the Criterion disc does indeed provide a somewhat "closer shave" than the Nouveaux disc. There are certainly no major differences between the discs as seen in these image captures, but the hobby photographers among us will definitely appreciate the Nouveaux framing, as seen on the left. Next, we show a frame grab from a clip of the film as shown in the Un metteur en ordre documentary included on the Criterion disc and immediately below this grab there is a frame grabs from the Nouveaux disc on the left and from the Criterion disc on the right. We do this for two different scenes, below. All images can be clicked for full-sized versions. The frame grabs from the TV documentary are presumably representative of what the film looked like when it was first screened in theatres in 1966 (at least as far as the vertical dimension is concerned). As can be seen here, the recent DVD editions show no fear of slicing off some hair—Criterion more agressively so than Nouveaux. In the next figure, the yellow line indicates approximately where Nouveaux crops this very same image, and the red line represents Criterion's cropping. It is worth noting that both the Criterion and Nouveaux viewports move up slightly during the latter parts of the film (the Criterion viewport actually moves up to the location of the yellow line), the end effect being that hairdos are not as rampantly desecrated later on in the film (thus verifying another one of the Berkeley group's early impressions). The Berkeley group's initial claim that the DVDs are vertically cropped as compared to what was shown in the theatre therefore appears to be quite valid. But, how noticeable is it really? We give our friends in Berkeley the final word. Upon being presented with the "evidence" above, they responded as follows. "That's it exactly. By themselves the frames don't really convey the seriousness of the problem because one doesn't expect every shot comprising moving actors to perfectly frame the actors. But after a short while a viewer like me finds himself asking "Uh, why doesn't Bresson pull back just a couple feet and let me see actor's entire head into the screen — like he usually does." 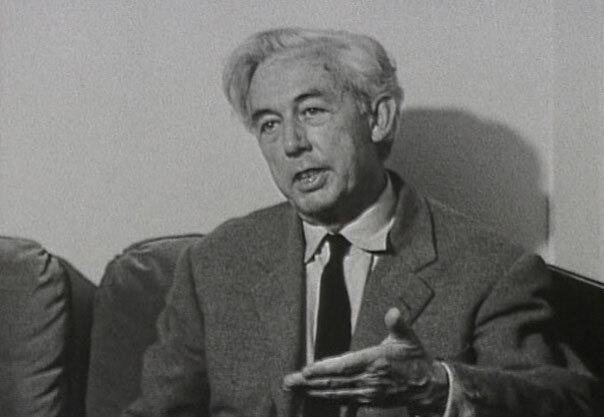 One comes away with the perception that Bresson suffers from a strange aversion to human hair. So, looking at these frames, I don't know if it's as "bad as I thought." 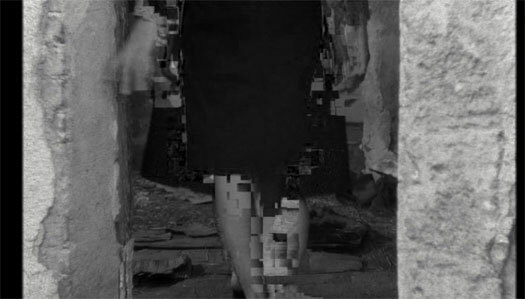 Rather, "it is what it is": a frame from a film by a Master which has been edited down for reasons that are not clear to me but which, for lack of a better explanation, I ascribe to laziness and a tendency to adhere to some arbitrary formula rather than paying attention to what's on the screen. [...] These films are so great that is difficult to diminish their impact by a little bit of cropping. On the other hand, the films' greatness makes the loss of film image that much more irritating. In an ideal world, the DVD owner would get all the information on the frame and he/she could frame the image at home using his DVD player or computer [...]."